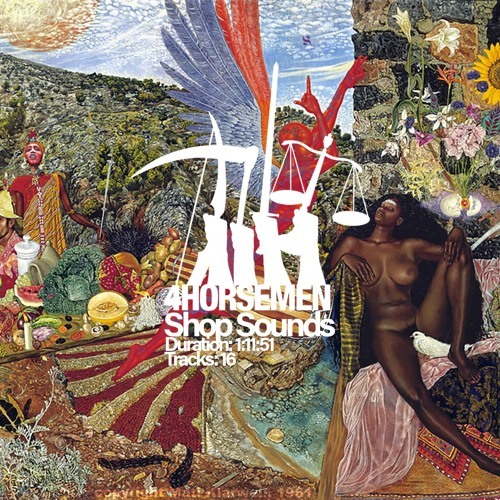 In this edition of Four Horsemen Shop Sounds, new and modern artists in Jazz and R&B/Soul are the focus of this newest playlist. The genres of Jazz and R&B/Soul are in the midst of a strong resurgence and the past six years have seen many new and exciting artists emerge onto the scene. Toronto has proven to be a hot-bed for talent in both genres. Daniel Ceaser, Charlotte Day Wilson, and BADBADNOTGOOD all come from the greater Toronto area and have each made their marks on experimental jazz and R&B respectively. Jazz trio The Bad Plus has proven that a radical split from genre-norms can lead to greatness. Their moody piano-led tracks are cinematic, moving and exciting. The record label Brainfeeder has given us two incredibly talented musicians in Thundercat and Taylor McFerrin. Thundercat's energized electro R&B is both funky and refreshing. Taylor McFerrin's brilliant genre-blending solidified him as an incredibly versatile new artist. Each artist featured have contributed to the to the current renaissance in both Jazz and R&B/Soul through bold new sounds or a strong sense of tradition.